Home - Creative Vision Partners, Inc.
Creative Vision Partners, Inc. is a one stop shop for all your Graphic reproduction needs. Since we built our brand by using the print broker mentality, you the client can be assured your project is produced at a quality vendor that specializes to fulfill your needs. Its been proven time and time again that one vendor cannot complete a complex project within one work environment. Overhead and technology upgrades become too costly and this creates a lack of quality. 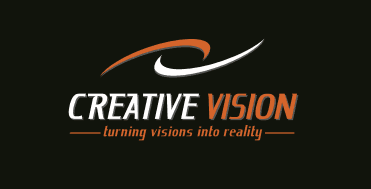 Not at Creative Vision Partners, your project is placed on the highest quality output devices time and time again. We get to choose where your project is placed and if there's a issue or devices goes down, no problem we have the quick option to move it to a alternate source that's ready to go. So no matter how big or small your needs may be, you can be assured there's a perfect environment for your project to be. Learn more about tradeshow products by clicking on the link below. Creative Vision Partners helped me to create a beautiful and engaging setup for my trade show booth and also printed all my marketing material for the show as well. I couldn't have asked for better quality and everything was extremely well received by all my guests.